Review note: This review mainly focuses on the Vita version of the game. 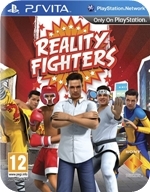 A few days ago (after already finishing the game on the Vita), I was also sent the PS3 version, which allowed me to test the Augmented Reality and cross-save features too. All images are my own screen grabs from the Vita version of the game. If you buy the PS3 version, you will get a free digital copy of the Vita game too. 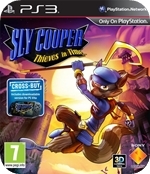 Aside from the excellent HD re-release a while back, we’ve not had a Sly Cooper game since 2005. This has left a gaping wound in the platforming genre that nobody has even attempted to heal. Sucker Punch have long since left to work on the InFamous games, leaving unknowns Sanzaru to take over full-time after successfully overseeing the aforementioned HD collection. While probably not under as much pressure as 343 Industries with Halo 4, there are parallels. Let’s see how they got on. Keen to cash in on the Christmas shopping boom, Sony are taking their latest toys on tour to UK shopping centres with a large focus on the new Wonderbook PS3 peripheral and JK Rowling’s Book of Spells, set in the Harry Potter universe. Using the PS Move motion controller in conjunction with the camera players will be able to interact with the Wonderbook directly thanks to its numerous large augmented reality pages that allow you to conjure up dragons and castles and take part in wizardry classes. Check out the trailer to see for yourself.